Negombo, Wilpattu, Anuradhapura, Habarana, Polonnaruwa, Kandy, Udawalawa, Singharaja & Galle. On arrival, our guide will meet you at the airport and then you will transfer to Negombo for the first night. 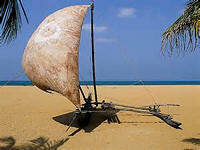 Negombo has a chequered and colourful past in that the Dutch, the Portuguese and the British all laid claim to it at different times. 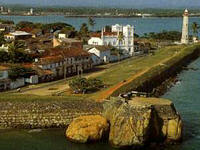 Evidence of their occupation can be seen in the colonial-style architecture of many of the buildings in Negombo. During the Dutch era, Negombo was also one of the most important sources of the much-coveted and highly profitable cinnamon. Rest of the day at leisure to take a stroll along the beach or just to relax. Today we check-out later in the morning and proceed to Wilpattu where you will spend the next three nights in mobile tented accommodation, and check in in time for lunch. This is camping in style! The camp is set up with tents, a fully equipped kitchen to cater for all guests, well-set dining areas, hammocks, attached flushable toilets and shower area. After lunch, we will be take the first late afternoon safari to the Wilpattu National Park which is the largest national park in Sri Lanka. It is home to many diverse forest types. 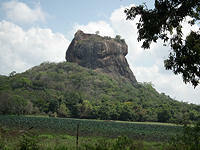 It was one of the first parks to open in Sri Lanka, and thus has a rich heritage. There are over 30 recorded mammal species inside Wilpattu, including leopards, sloth bears, Sri Lankan elephants and spotted deer. Wetland bird species such as the Pin tail, Whistling Teal, Spoonbill, and the White Ibis can also be found there. The park retains its status as a preferred safari destination due to a strong prevalence of the elusive leopard, although the exact number of leopards in the park is unknown. Another highlight is the dense population of Sri Lankan Sloth Bears which are a highly threatened sub species of the sloth bear that exist only on the island. Return to the campsite after the safari, which will be lit with traditional flame torches and a roaring campfire. The morning safari commences as early as 0600 in order to gain the best sightings that Wilpattu National Park can offer. Onyour return to thr campsite after a three hour safari, you will be treated toa good breakfast. You can enjoy Mother Nature at its best or simply relax in the hammocks alongside the campsite till lunch time. After a delectable lunch, we begin our evening safari at 1530 until dusk falls. You will be returning to the campsite to relax before we invite you to enjoy your dinner in a location specially selected for you. Today we set off for Anuradhapura also known as the sacred city which is home to the Sri Maha Bodhiya. This Bo Tree is known as the “Tree of Enlightenment”. Anuradhapura is not only one of the most sacred places but also a fascinating one as this was the first Sinhalese capital of Sri Lanka. The past glories of this city are still evident with the abundance of ancient architecture and ruins dating back to the 3rd Century BC and earlier. To wander around this magnificent ancient city, gives one a hint of how imposing and majestic this city would have been in its prime. 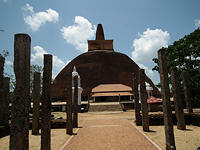 On completion of the visits in Anuradhapura, we drive to Habarana where you will spend the next 2 nights. After breakfast, set off for Kandy with an en-route stop at a spice Garden in Matale. Spices are synonymous with the deep history of Sri Lanka. With so many spices and herbs growing, this has been a main export of Sri Lanka down the ages. For centuries the indigenous herbs and spices have been used for both medicines and for cooking. Cinnamon, ginger, clove, coriander black pepper and cardamom are just some of the spices available in the numerous Spice Gardens on route to Kandy. 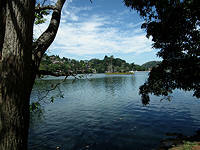 Check-in to the hotel before proceeding on a brief tour of Kandy including a visit to a gem lapidary and shop. Later in the evening, visit a Kandyan Dance Show and visit the Temple of the Tooth Relic. Kandy is considered as one of the most beautiful cities of Sri Lanka and is known for its scenic beauty and rich cultural value. 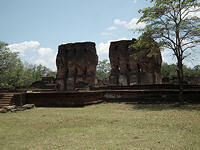 It is listed amongst the world heritage sites of UNESCO. 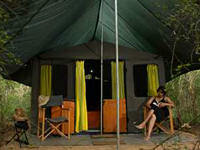 Check-out early and transfer to Udawalawe and check-in at hote. 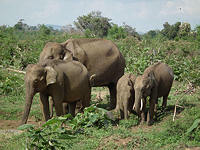 Later we take a late afternoon safari of the Udawalawe National Park. This park is the most popular park for its resident Sri Lankan Elephant population which can be seen in herds in large numbers. It is the only national park where an elephant sighting is guaranteed on every game drive. Udawalawe National Park is also instrumental in the Elephant Transit Home - a project that is geared towards the conservation of the Sri Lankan Elephant. This transit camp is an orphanage of sorts where abandoned, injured or orphaned elephants are treated and then released back into the park. Apart from the elephants there are spotted deer, monitor lizards, sambar deer, wild boar, common langur, jackal, toddy cat and the endemic toque macaque. The Sri Lankan leopard has also been sighted here, but unlike Yala National Park these sightings are very rare. Rise early for an early morning safari of the Udawalawe National Park, then return to hotel for breakfast. 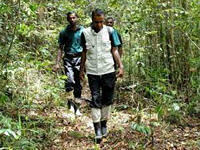 We will then set off for Singharaja and check-in at the rain forest lodge resort. Rest of the day is at leisure. The forest steeped in deep legend and mystery. The word Singharaja means, lion (Singha) king (Raja) and the popular belief is that the legendary origin of the Sinhala people in Sri Lanka is from the descendants of the union the lion king who once lived in the forest and a princess. Sinharaja Forest Reserve is one of the least disturbed and biologically unique lowland rain forests now remaining in Sri Lanka.Today you will be trekking deep in to the forest; beginning of the trail is the best area to observe birds and butterflies (Indeed a paradise for bird watchers!) As you walk deeper in to the forest you will come across many mini waterfalls and streams that holds the key element of any eco system in the world. The terrain gets rough and the elevation inclines steadily as you proceed. You are walking through a rainforest so be prepared for leeches and for the random showers that will test the adventurer in you. After breakfast transfer to the beach resort in Galle. Rest of day at leisure. Today you will be picked-up early and be transferred to Mirissa for the whale watching excursion with packed breakfast from the hotel. 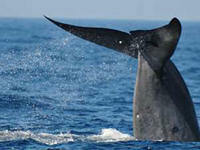 Sri Lanka is located within the International Whaling Commission's protected zone in the Indian Ocean. Of the 80 species of cetaceans observed and identified worldwide, 26 are found in the Indian Ocean and in the Bay of Bengal. Whale and dolphin watching is a seasonal activity in the south coast of Sri Lanka commencing mid-November to mid-April where the whales are on their annual migratory route, travelling from the Horn of Africa up to the waters of the Arabian Sea. The south coast of Sri Lanka is one of the very best places to see Blue Whales in the entire world, and Sri Lanka boasts the longest Blue Whale season. Sperm Whales are also present with pods. Return to the hotel and relax till late afternoon / early evening when we will take a walking tour to explore the fascinating culture and history of the Galle Fort. At leisure to explore the old town or relax on the beach..
See the spectacular varity of wildlife that Sri Lanka has to offer!